Lent is one of the most sacred times of the year. It offers us time for reflection, for worship, and for service. 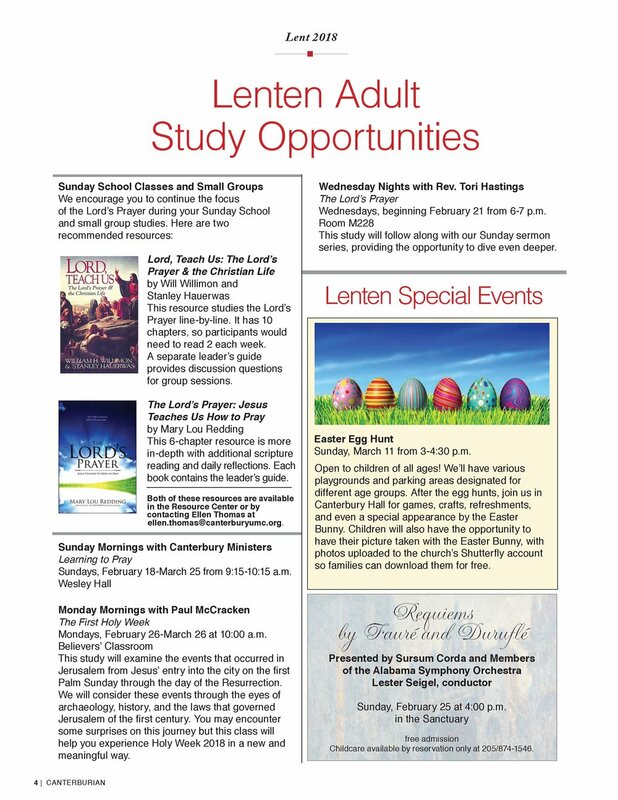 Canterbury will have several opportunities for you to observe this holy season starting with Ash Wednesday on Wednesday, February 14th.